One of the most elegant, pleasant to the touch and stylish knitwear are cashmere items. A quality product is expensive and needs proper cleaning and careful storage. It is important for each experienced housewife to know how to wash cashmere things so that they look like new for a long time. Many women prefer to wear cashmere in cold seasons. How to wash a delicate product so that it retains its original attractive appearance for a long time? The basic rule is to start cleaning things after the 6 sock, if there are no visible contaminants. You can use the services of dry cleaning, but with the question of how to wash things from cashmere, it is possible to cope on your own. First of all, you should carefully read the information from the manufacturer on the label. Any high-quality product indicates whether cashmere can be washed and under what conditions. In most cases, washing is allowed, and some things are cleaned and in the washing machine in delicate mode. Wash cashmere can be dry, if it is a cashmere coat with a dulerin and lining. Professionals are best at dealing with such a difficult task, and sweaters, pullovers and berets can be cleaned at home, subject to certain recommendations. Before processing the product you need to get rid of the pellets and foreign dirt on the fabric. To do this, you can use a soft brush or a special machine. In the matter of how to wash a cashmere sweater, you should turn the thing inside out, and only then proceed to wet cleaning. You can not rub the sweater, strongly unscrew it, rinsing the product should be carried out in cool water (not more than 34 degrees) until the water becomes transparent. How to wash a cashmere sweater? Do not use powders or strong detergents with enzymes or bleaching particles. Experienced housewives are advised to buy special care formulations, excellent quality shampoo for hair without dyes. It is important to maintain the temperature of the water at the same level during the whole procedure, since the delicate fabric from temperature fluctuations can deteriorate and settle. 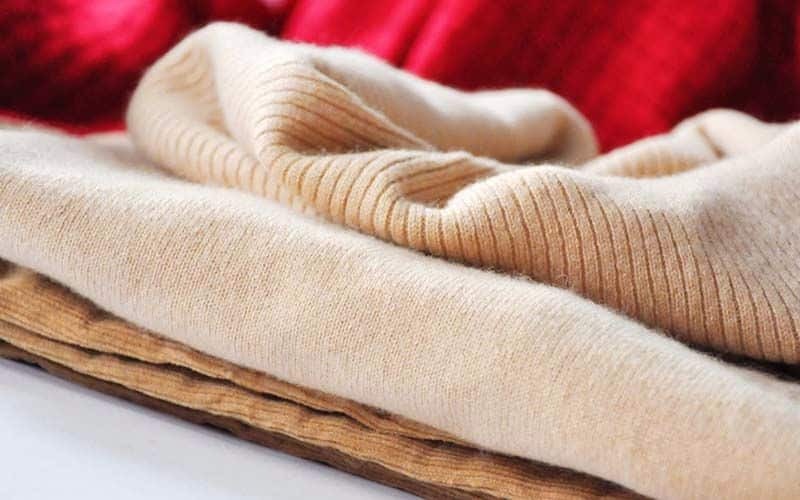 After the cashmere sweater is washed, the product should be allowed to dry. You can not hang it on a hanger, squeeze it with your hands. The best option - put on the grate above the bath and leave to dry in a horizontal position. Moisture is removed by folding the pullover into a roll with a soft terry towel. Another way is to lay a soft sheet on the floor. Put the product on top, straightening folds and creases. In order for a thing to dry faster, you can turn it over from time to time. Drying using high temperatures (hair dryer, heater, battery) will inevitably lead to damage to your favorite wardrobe item. Many housewives are wondering how to wash cashmere in a washing machine, and whether it can harm sensitive things. Today you can find a lot of quality things that involve machine wash. A prerequisite for this is the use of gentle treatment for wool products. During operation of the “automaton” in this mode, things carefully “roll” from wall to wall. Machine cleaning should not be abused, since with frequent washing the hair of your favorite pullover will be intertwined, which will worsen its appearance. The recommended temperature in order to properly erase cashmere things in the "machine" - from 30 to 40 degrees. Many manufacturers offer quality tools for the gentle cleansing of this material, for example, Persil Silk and Wool. Entrepreneurial housewives often use hair conditioner that helps keep the product soft for a long time and does not damage the fibers. Remove the pellets from the surface using special tools: brushes, typewriter, etc. Stir the detergent in cool water. This may be a baby shampoo that prevents the occurrence of dry yarn, a gentle shampoo for dyed hair without dyes and fragrances, a special qualitative composition for delicate fabrics. Put the sweater in the water and leave to soak for 20 min. maximum. Carefully wash the product without twisting it and not squeezing. Let the excess water run off by placing the item on the bottom of the bath. Rinse the sweater several times, changing the water. Put the washed product on a horizontal surface, placing it at an angle to get all the moisture out. 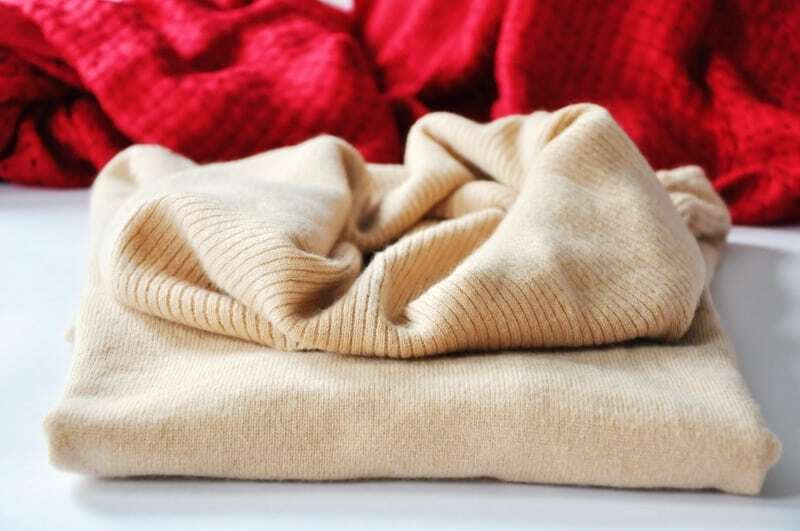 Correctly carried out stages of how to wash a cashmere product can save the product from damage to the fibers, keep the colors and give an incredible softness. In the matter of how to wash takes cashmere, the basic rules for cleaning sensitive material are similar to the above. Cool water for rinsing, shampoo or a gentle detergent for cleaning dirt - all this will help not to spoil the hat. The soaking time of the beret in the water is no more than 15 minutes. After that, you need to gently wash it by analogy with squeezing a sponge. The next stage is rinsing in water not exceeding 30 degrees, and easy spin without twisting. The washed product is laid out on a towel, carefully finished and dried until the end. Useful advice from experienced housewives - to preserve the shape of the headdress during drying, you can wear a beater on a suitable-sized plate (special frames for drying headgear are sold in hardware stores). Proper care of the beret, compliance with all the basic rules of washing and drying will allow for a long time to enjoy the novelty of the product, the lack of a pellet on it and rich color. What always helps me personally is hand washing in cold water. But the main secret is not to use powder or soap. Wash cashmere things I clean ... a fabric rinse! And then rinse things with water with hair conditioner. Yes, yes, you did not hear. Just as advised us in this article. Honestly, the result is great! Things like just out of the store!